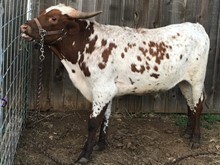 Sold to Alex Dees, CR Longhorns at the 2016 Red River Sale. 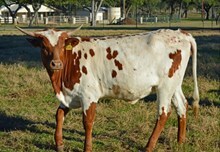 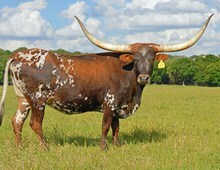 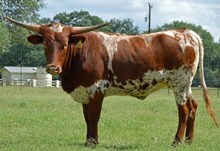 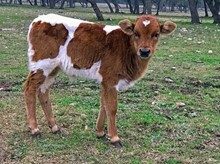 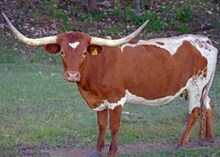 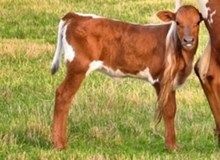 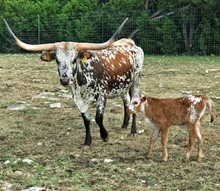 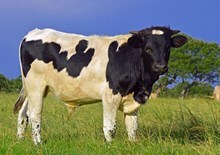 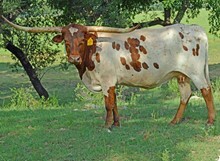 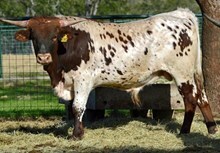 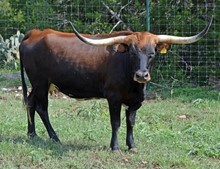 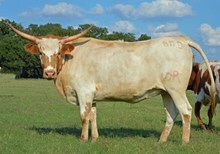 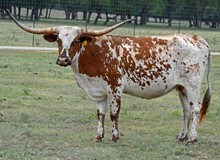 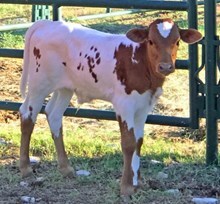 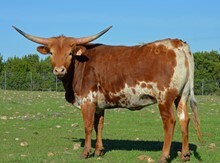 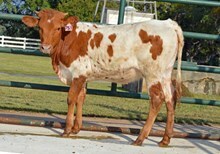 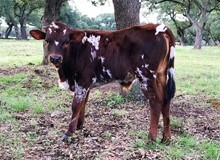 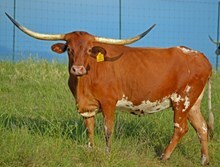 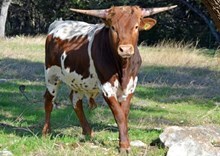 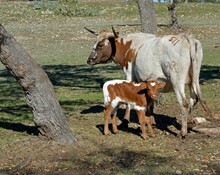 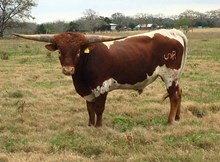 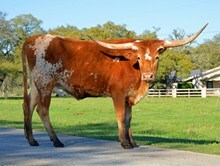 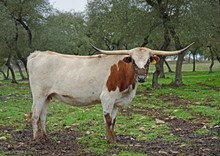 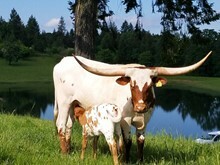 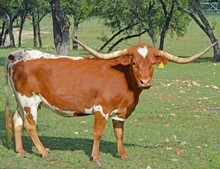 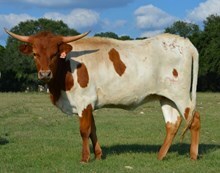 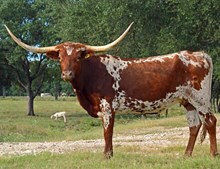 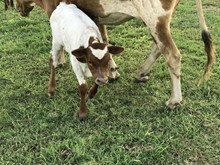 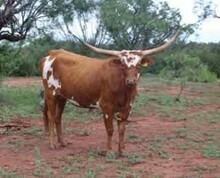 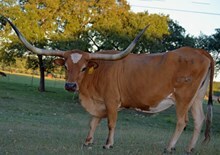 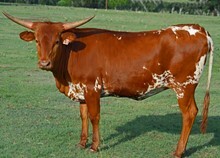 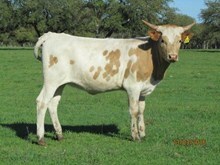 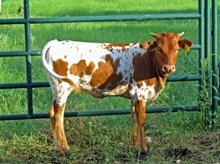 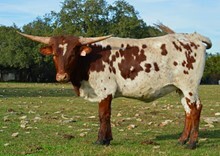 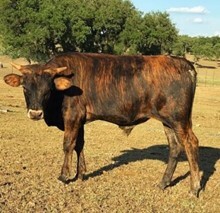 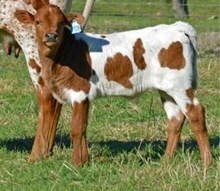 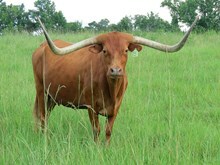 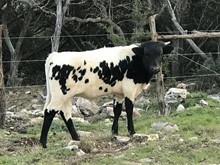 This is a very correct young bull that has sired some very attractive calves. 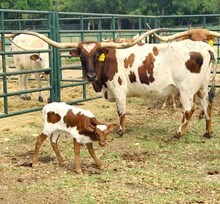 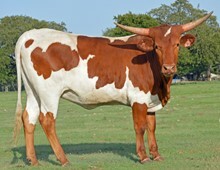 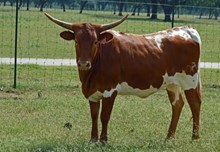 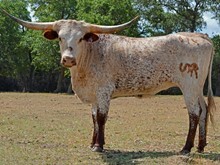 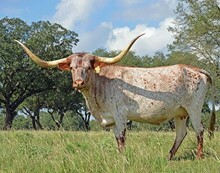 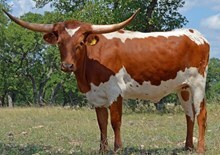 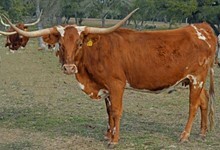 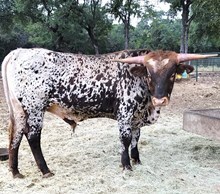 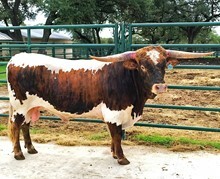 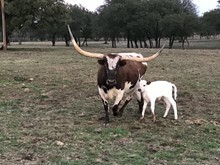 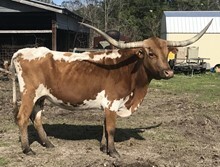 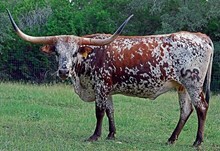 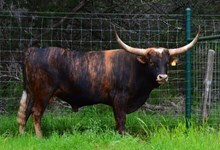 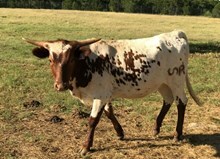 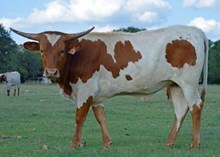 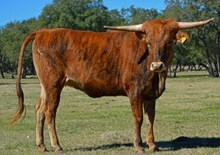 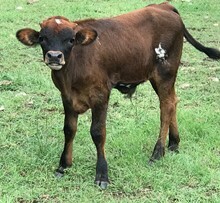 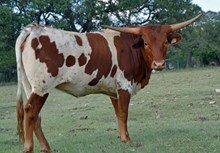 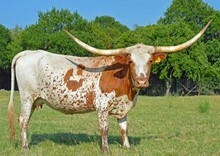 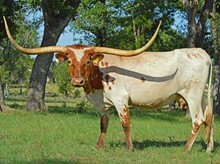 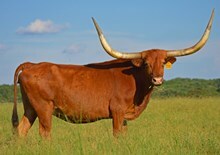 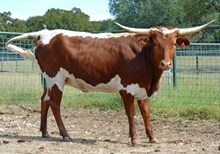 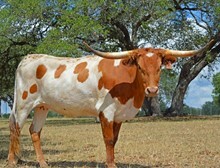 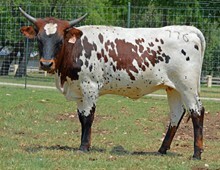 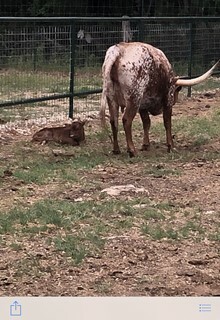 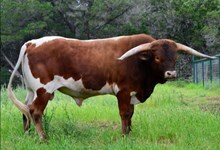 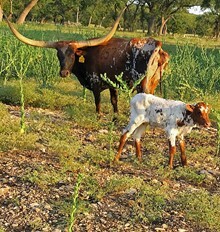 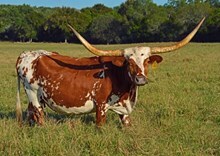 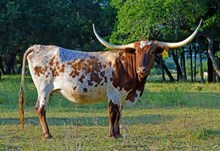 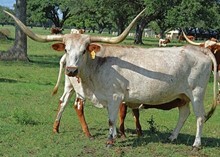 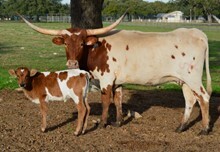 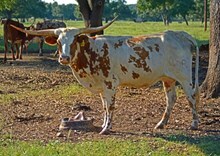 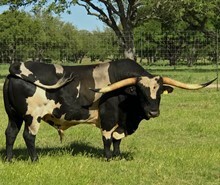 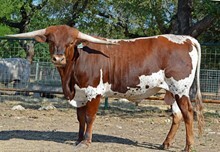 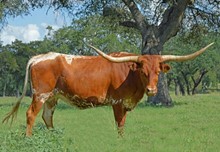 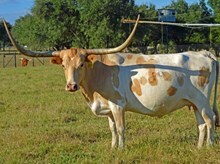 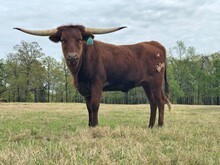 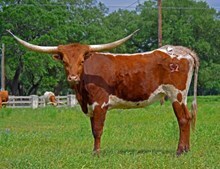 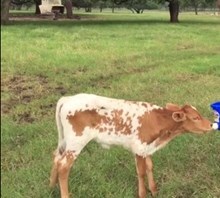 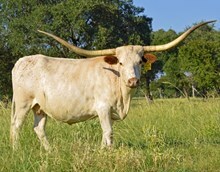 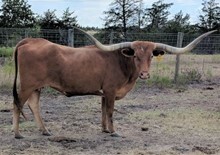 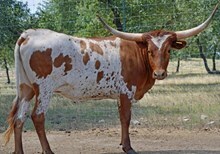 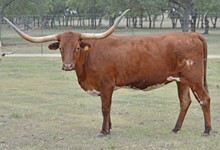 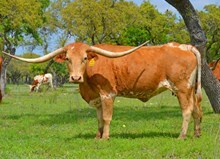 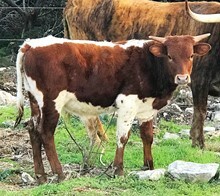 His sire JP Rio Grande and Shadow Jubilee (third longest horned cow in the breed) have mated up and produced a great young herd sire that will improve any program. 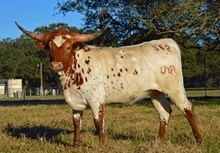 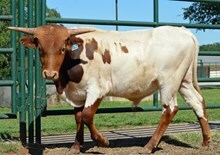 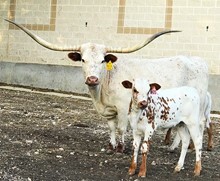 Sold to Austin & Taylor Rohr, Rolling Horns Ranch at the 2016 Red River Sale.